At the 3rd Annual Meeting of the Transcranial Magnetic Stimulation Society, Canadian researcher Frank MacMaster discussed his study of repeated transcranial magnetic stimulation (rTMS) in 50 children with depression. RTMS is a non-invasive procedure in which an electromagnetic coil is placed against the side of the forehead and magnetic pulses that can penetrate the scalp are converted into small electrical currents that stimulate neurons in the brain. The study was designed to identify biomarkers, or characteristics that might indicate which patients were likely to respond to the treatment. All of the patients received rTMS at a frequency of 10 Hz. Using magnetic resonance spectroscopy (MRS) technology, MacMaster found that children who responded well to rTMS treatment had low levels of the neurotransmitter glutamate at the beginning of the study, but their glutamate levels increased as their depression improved. Children who didn’t improve had higher glutamate levels at the beginning of the study, and these fell during the rTMS treatment. MacMaster hopes that glutamate levels and other biological indicators such as inflammation will eventually pinpoint which treatments are likely to work best for children with depression. At the meeting, MacMaster said that in Canada, only a quarter of the 1,200,000 children with depression receive appropriate treatment for it. Very little funding is devoted to research on children’s mental health, a serious deficit when one considers that most depression, anxiety, attention deficit hyperactivity disorder (ADHD), bipolar disorder, oppositional behavior, conduct disorder, and substance abuse begins in childhood and adolescence, and early onset of these illnesses has been repeatedly linked to poorer outcomes. Editor’s Note: The strategy of identifying biomarkers is an important one. 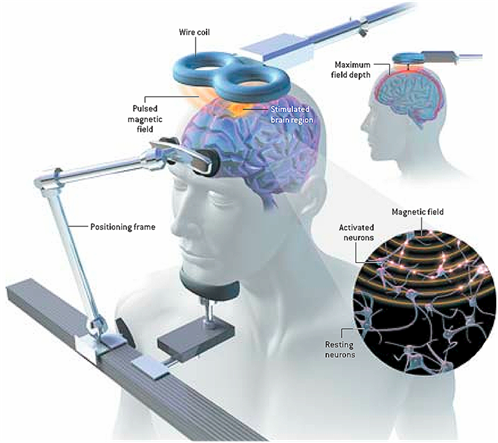 MacMaster noted that this type of research is possible due to the phenomenal improvements in brain imaging techniques that have occurred over the past several decades. These techniques include magnetic resonance imaging (MRI) to a resolution of 1 mm; functional MRI; diffusion tensor imaging (DTI), which can depict the connectivity of white matter tracts; and spectroscopy, which can be used to identify chemical markers of neuronal health and inhibitory and excitatory neurotransmitters, and analyze membrane integrity and metabolic changes. These methods provide exquisite views of the living brain, the most complicated structure in the universe. The biomarkers these techniques may identify will allow clinicians to predict how a patient will respond to a given treatment, to choose treatments more rapidly, and to treat patients more effectively.